Culverts are everywhere. Before this summer, I could drive along without really noticing them. Now, I’m a bit obsessed with them. Why? 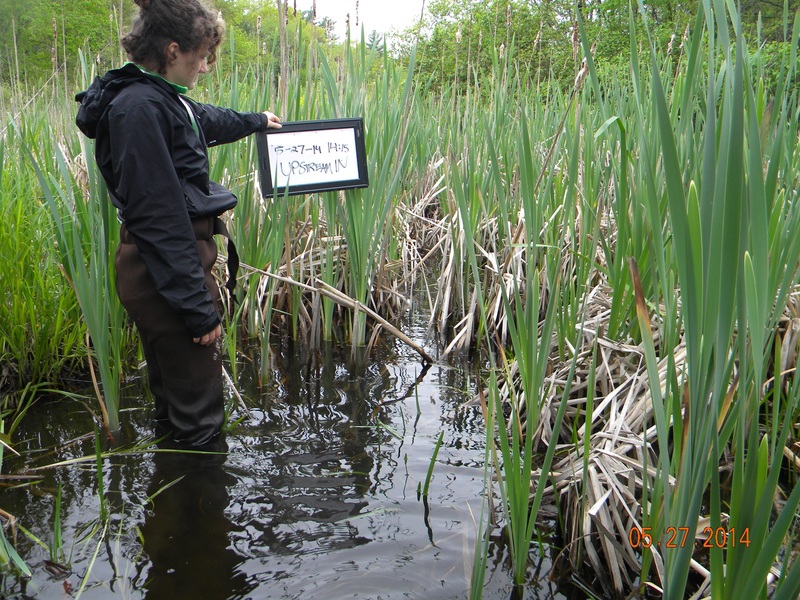 For my summer “Part-time, temporary” work, I don waist-high waders and go hunting for where stream systems meet roadways! You see, not all culverts are being inventoried. 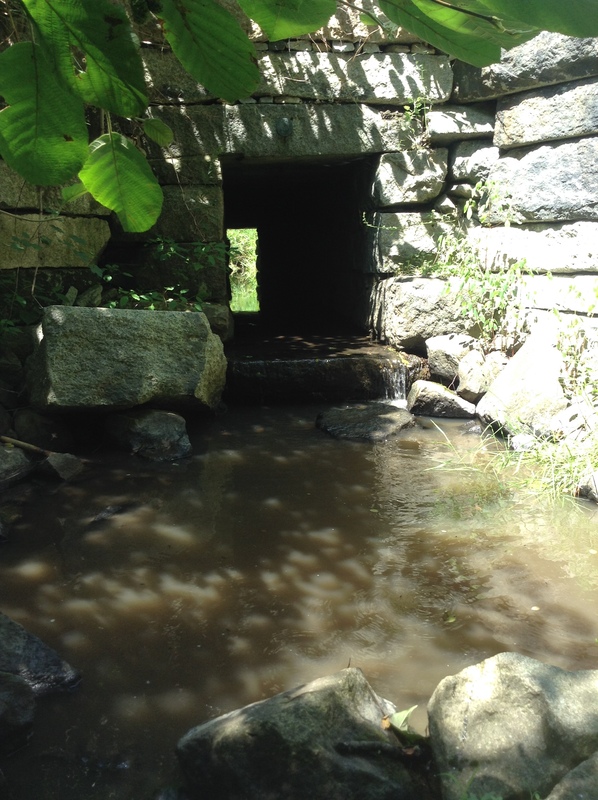 Some culverts, like driveway culverts, let stormwater flow from one point to another, but stream crossing culverts or bridges allow the waterways to continue underneath the roadways. Each day in the field is an adventure. My partner and I battle the insects, heat, rain, and poison ivy to locate, inventory, and assess the stream crossings. We have some idea of where they should be, but some scouting is necessary. Sometimes the weather even cooperates to give us beautiful New England summer days! 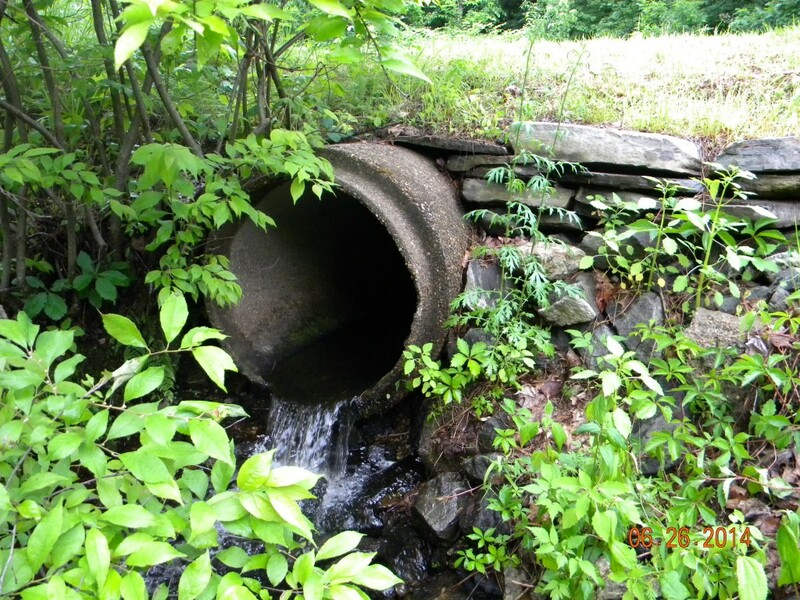 Culverts come in all shapes and sizes. So, we never really know what to expect. 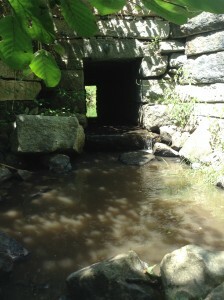 For instance, this is a picture of a stone box culvert installed in June 1800 that is still functioning!